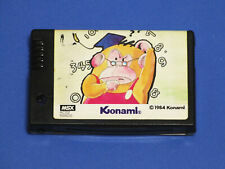 Is there someone that has an empty Konami Cartridge? I've got one that has been damaged because someone wanted to put an on/off switch in it, so they could use it as a SCC only. If someone has just the shell, I can try to remove the on/off switch and restore the cartridge to its original state. The removal of the switch is the easy part. No skills needed. As the game works when the switch is closed, just remove the switch and connect both wires that went to it. I wish you a lot of good luck to find a donor Konami cartridge. You might as well try to repair this one first. 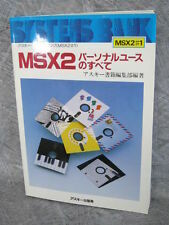 I don't know what is wrong with it, but taking a look at the channel of a fellow MSX fan repairing his broken NES might give you some ideas. I have a few empty cartridges (new), but not sure if these are what you need. Can you send me a picture of your cartridge ? I believe the way the PCB is supported by the cartridge shell varies by manufacturer (and needs to mach the PCB, holes on the PCB etc. ); only the form factor is standard. That being said, if you can get any empty cartridge shell, you could always make some kind of cludge (which might still look fine from outside); with epoxy and whatever. I'd just leave the switch there as it is, and if it really bothers you, a 3D -printed or a generic case is the best bet. The SCC supporting cartridges are all the same. Not sure about the others. I've never had the need to open one. The holes in the pcb are the deciding factor. If you're not putting it back in a Konami case, there are new, fitting cases available which do fit exactly. They're just not Konami cases.